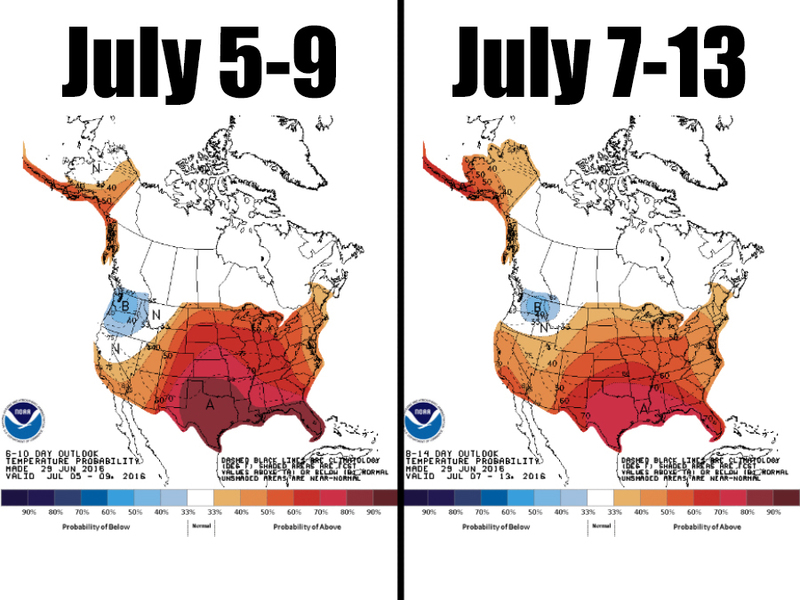 July is always a hot month across the United States, but this one looks like it'll be even hotter. That probably shouldn't come as a surprise, either. May was the thirteenth consecutive month a global temperature record had been broken. At this point, it'll be news if Earth doesn't break a temperature record for the month of June. That hot streak is expected to continue into July, too, at least across the United States. The latest long range models show some extremely warm air bubbling up across the South as well as most of the United States. The only spot avoiding the heat looks like the Pacific Northwest. The final numbers for June will likely arrive in the first half of July. If another record is broken, that means the first half of 2016 will have been been the hottest on record, and increases the likelihood that 2016 will be Earth's hottest year ever.